How many more children could GAVI be saving? GAVI is funded through donor countries and private sector finance partnerships but could get better value for money by reducing costs from private companies. Last month the UK government reaffirmed its commitment to vaccinate 250 million children by 2015, a move that could save over 4m lives worldwide. This latest assurance from Cameron can ease concerns of scaling back development assistance, defying the likes of Liam Fox who wants to clear the path for the UK needs to strip down its overseas aid spending. But with £2.62 billion in the bag, how will the lucky recipient, the Global Alliance for Vaccines and Immunisation (GAVI), fair in its ambitious task? As a public-private partnership, GAVI is funded through donor country governments and private sector finance partnerships. 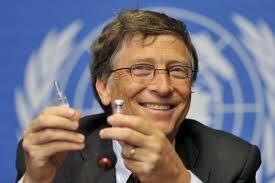 Its aim is to help the world’s poorest countries access vital vaccines and reduce child mortality. It takes wealthy western governments such as the UK to stump up an extra £814m over the funding gap before the pharmaceutical industry consider matching them. Vaccines are a good example of easy to measure interventions; you give a child a jab, and then calculate the cost per life saved. This move towards results based “value for money” development assistance fits right up the Conservative Party’s street, except when you look closer at the figures, how many lives will GAVI really be saving for the money spent? GAVI has extraordinary market power. The Alliance pumps millions in to the pharmaceutical industry every year, yet an evaluation of the work it carried out between 2005-2010 cited its inability to lower vaccine prices as a “failure of the alliance”. A good example of its approach to securing vaccines for poor countries is through a mechanism known Advanced Market Commitments. AMC led to donor money subsidising the production of pneumococcal vaccine by Pfizer and Glaxo Smith-Kline (GSK), even though it had been available in western markets for over a decade. What’s more, calculations of “value for money” don’t necessarily take into account all the figures. The cost of one pneumococcal injection is set at £2.1 per vaccination; but this figure only covers the industry side of the bargain. Donor money matches the other £2.1 to make a total of £4.3 per jab. Add to this the need for each child to receive three doses for a complete treatment, and the total cost of vaccinating a child reaches £12.8, six times the original amount. Despite this disparity, donor governments stand committed to the fund, leaving both the above companies to pocket a tidy sum of £137.3m each, with no price reduction passed on to the purchaser. Square this with the cost of the vaccine from emerging market manufacturers, and GAVI could have saved itself £1.8 per dose, and probably many more lives. So why is the alliance so bad with its money? First, price transparency is a major issue. Only last week UNICEF (one of the largest purchasers of vaccinations worldwide) began publishing the prices it pays for its vaccine supplies. The results were shocking. In an interview with the New York Times a day after the release, Daniel Berman, deputy director of Medicins Sans Frontiers (MSF) was taken through the details: “Oh my God, I had no idea the difference was so extreme”. Although a huge step in the right direction, price publications merely expose the price differentials. It will take strong donor commitment to keeping GAVI on track and demanding more cost-effective purchasing for the money it is donating. There also is an issue of governance. This month, vaccine manufacturer Crucell (a subsidiary of Johnson & Johnson) is replacing GSK as a pharmaceutical industry representative on the board. Crucell is the largest UNICEF supplier of vaccines, the vast majority of which is bought with GAVI funds, accounting for over 60 per cent of its income last year. Protest over such potential conflicts of interest is one of the major reasons for the resignation of Berman from the board last year. If GAVI is to reach the one in five children worldwide who still receive no vaccinations at all, more pressure from board members and civil society organisations are needed to keep the alliance accountable. The Global Alliance for Vaccines and Immunisations is critical to the overseas development assistance strategy of many countries, and with unabated efforts to reach millions of children living in poverty; it will transform the lives of many. It is neither the ambitions of the alliance, nor the continued support from donor countries that should be criticised; but the assessment of value for money should be explored and debated further. Campaigning organisations, like MSF, pushed UNICEF to publish their prices. It will take more to push donor countries to direct GAVI’s investments to a more sustainable, cost-effective approach if we are to save many more lives in the future. Somehow this deal wil safeguard more the future of the pharmaceutical companies than that of the poor Africans children. Claims that GAVI has failed to reduce the price of vaccines is not entirely true. GAVI is not the procuring agent that role belongs to UNICEF. Due to contractual agreements with vaccine manufacturers UNICEF could not publish the price they pay to them. The vaccine manufacturers have non disclosure agreements with most of their clients who are mainly developed countries, UNICEF and PAHO. The non disclosure is to avoid their clients for asking for the lowest price charged to another client and vaccine manufacturers claim they give each of their client the lowest price possible. With these relationships already in place GAVI might be culpable but not a culprit or more likely a victim of circumstance. On the issue of value to money all the money being channelled to Vaccine manufacturers through GAVI forms less than 15% of the revenue the vaccine manufacturers receive and amount for more than 60% of the volume they ship. The GAVI market is far from lucrative when compared to the developing countries and this begs the question is it really worth the effort to market to developing countries. There is a risk of lowering the prices that manufacturers actually lose any incentive to increase manufacturing and research of new vaccines, let alone conditions that only affect developing countries such as Malaria. Guppi, nonetheless I totally agree with you that more has to be done by GAVI to increase “value for money”. More transparency on prices, increasing competition and enabling transfer of technology to manufacturers to India or China, for example, should be done and not simply being the credit card that fund vaccines. @ Anna Watson. Countries are at liberty to choose the rotavirus vaccine they want. There are currently 2 vaccine Rotatrix(GSK) and Rotateq(MSD) and they both have a similar safety profile. The issue of safety has to be compared with the risk of dying from rotavirus. The risk of intussusception is less than 0.1 but the risk of death from diarrhoea caused by rotavirus is much higher. Diarrhoea is the 4 leading cause of death in children under 5 years and a majority of it is caused by Rotavirus. The safety monitoring is the responsibility of the respective Government that introduce the vaccine. A system to detect and monitor for safety issue is a prerequisite for approval of vaccine by GAVI. Undoubtedly the financial commitments made to GAVI are very positive developments, but there are flaws like Guppi has pointed out with GAVI itself and in the wider scheme of global health the vaccinations will only ever be one strand of a complex problem. Unless there are adequate moves to try and develop health infrastructures GAVI will only be a good photo-op for politicians hoping to placate liberal opposition to domestic spending cuts.